Sometimes life compels artists to use their art to speak up about issues in the community. In September 2014, Pennsylvania College of Art & Design alumnus Adam DelMarcelle, class of 2010, came face-to-face, on a very personal level, with the drug abuse crisis in his hometown of Lebanon, PA, when his brother died of a heroin overdose. Following this tragedy, Adam, a printmaker and designer, was confronted with issues that propelled him to start a social awareness campaign, “What Heroin Looks Like” in order to inform his community about the crisis, as well as challenge the way authorities dealt with drug dealers. 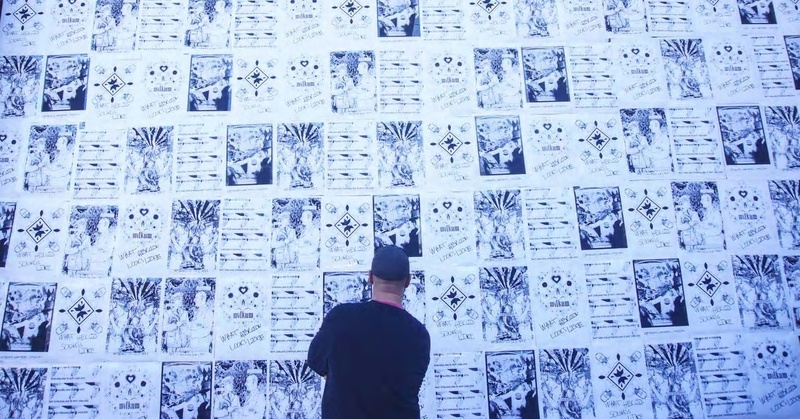 He designed and printed a series of posters, and blanketed the community with them. The posters were met with push-back from the city of Lebanon – yet these same posters were selected for inclusion in the National Archives in Washington, due to their social relevance and impact. On Monday, March 20, 12:00 noon to 1:30 p.m., Adam DelMarcelle will present “Thoughts From A Design Activist” to the students at PCA&D, discussing his artistic journey, his process, and how he uses design thinking to solve larger societal issues. Please join us to hear how Adam works to cut through the visual noise in order to create social change through his print and design work. Since the development of “What Heroin Looks Like,” Adam's work has garnered national attention, allowing him to travel widely to spread awareness of the heroin and opiod crisis impacting our communities. His art can be viewed on the Facebook page, What Heroin Sounds Like. 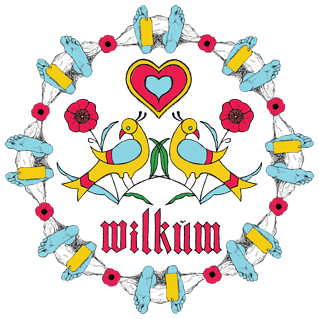 Adam teaches graphic design and printmaking at Kutztown University, York College of Pennsylvania and Lebanon Valley College. He also works as an emergency room crisis counselor in the Lebanon area. Adam is currently an MFA candidate at Vermont College of Fine Arts. He received his BFA from Pennsylvania College of Art & Design in Graphic Design in 2010. 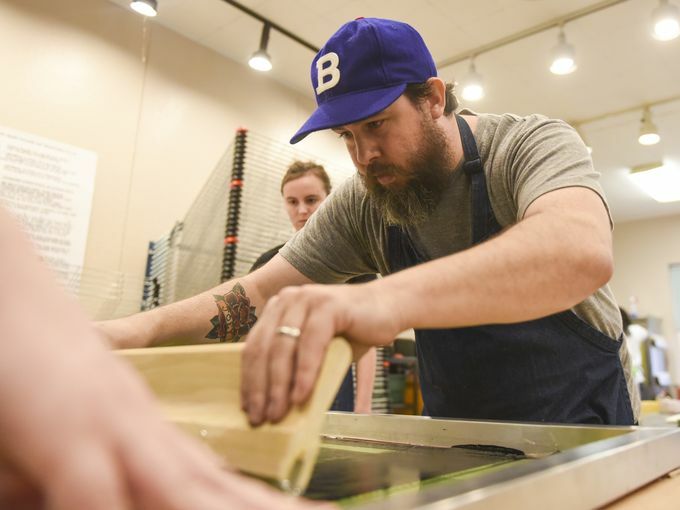 In addition, Adam is a board member and education chair of AIGA of Central PA, printer in residence at The Heritage Press Museum, a member of .918 letterpress club and a former board member of The Lebanon Valley Council of the Arts. Thoughts From a Design Activist is an event that is part of PCA&D's UStudio programming which focuses on health and wellness.